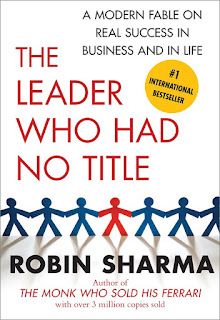 The Leader Who Had No Title is written by Robin Sharma, one of the world's most respected leadership experts. Robin Sharma takes the reader through a short journey from the view of Blake Davis, a scarred veteran that had lost his hope in life. Blake works at a bookstore, where he met his leadership mentor. The mentor shows Blake what Leader Who Had No Title (LWT) means and the enlightenment and power that are bestowed onto those that believe it and follow four core principles: IMAGE, SPARK, HUMAN, and SHINE. All those are acronyms, to find out what they mean, you will need to buy the book. :) Each of the acronym is taught by a different mentor with interesting life stories. It does feel like Robin tried too hard to come up with the acronyms as each of them don't have a consistent theme and some with repeated meanings. 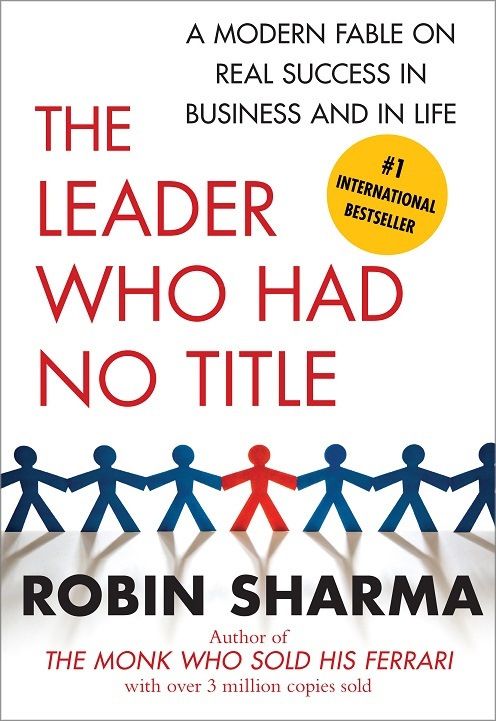 They map closely to the list of leadership traits and the book provides details on what they mean along with instructions on how to achieve them. Essentially, it echos what I said in my leadership traits blog: Everyone should be a leader [and you don't need a title to do that]. The book is written in a story style and so it is fairly verbose. For those that enjoy reading long stories to learn lessons, this would be a good book. For those that don't want the fluff, you could skim the pages by looking for those acronyms, look for any italic text that highlights key ideas, or skip to the end of each chapter that provides the words for the acronyms. For me, the story itself is so so and would have preferred the ideas and concepts in a few pages rather than a 196 page book. ^_^ To be fair, all those pages do provide great details for leadership principles along with instructions [in a story style], so they would be valuable to someone that just started out learning about leadership. The leadership lessons are solid / good.